Today I saw a robin in the garden when I was on the trampoline after I had watered my plants. This reminded me of a card I saw in the shops which said “Robin Hoodie” and had a picture of a robin redbreast wearing a hoodie. And then I thought of Batman and Robin. I drew this picture in GIMP by finding a batman picture, a robin picture and changing the size of the robin, making it transparent and sticking him on Batman’s shoulder. It was then obvious he would do a poo. 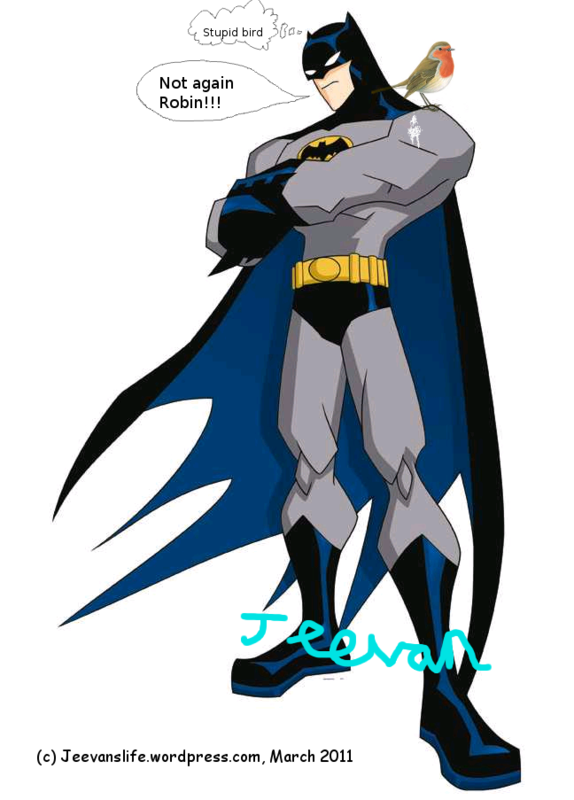 My name is Jeevan and I am 9 years old.